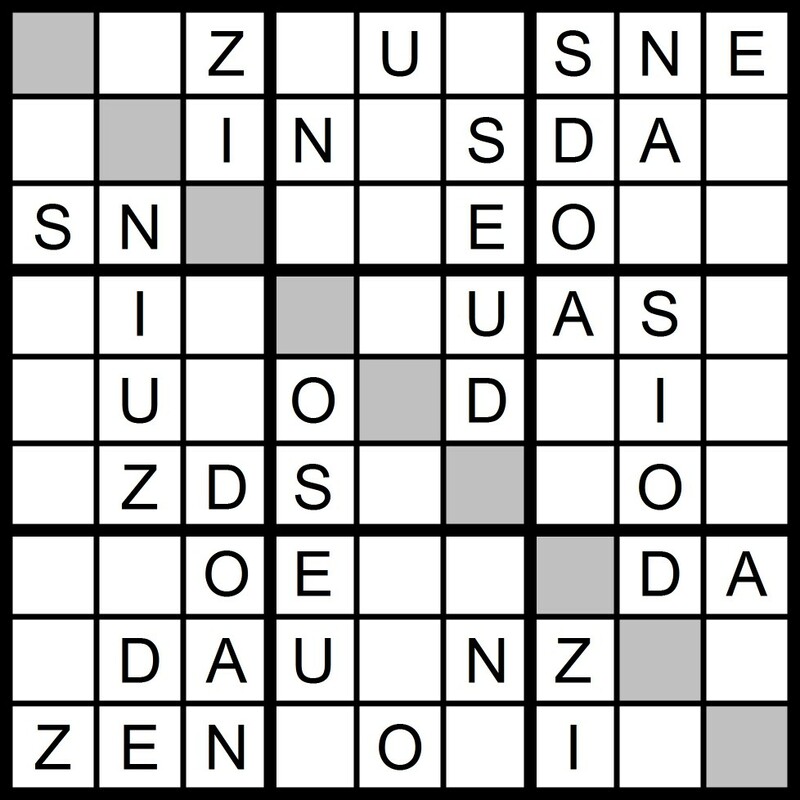 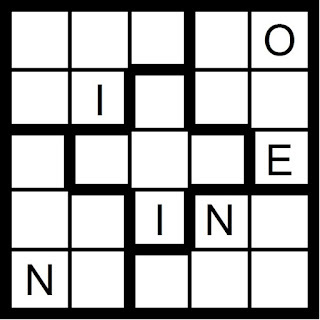 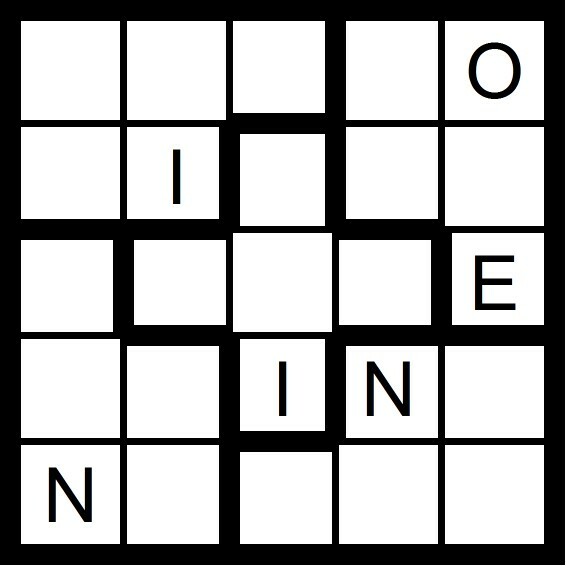 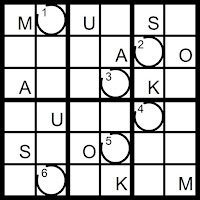 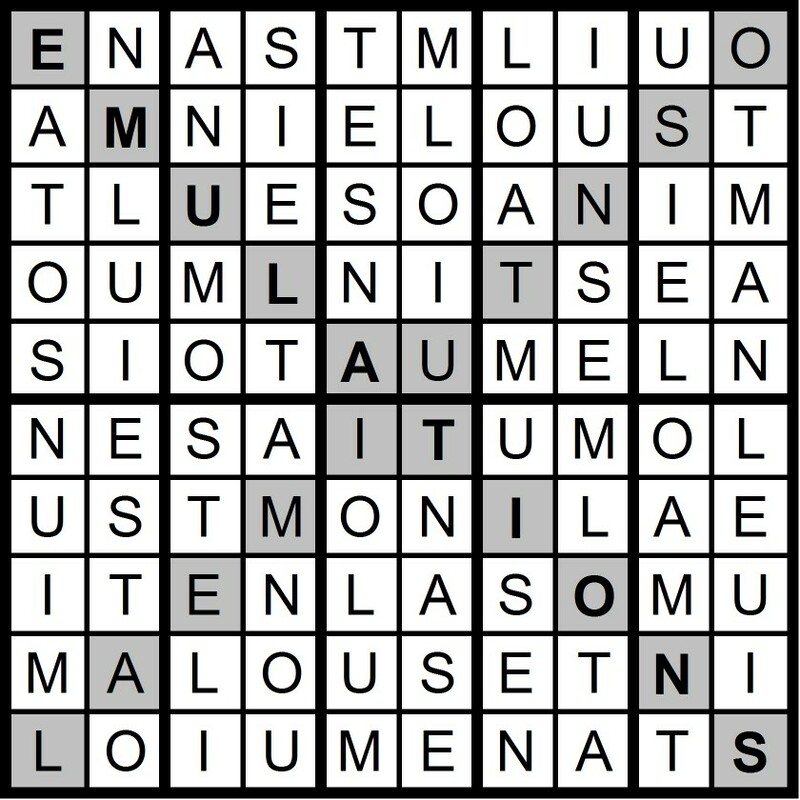 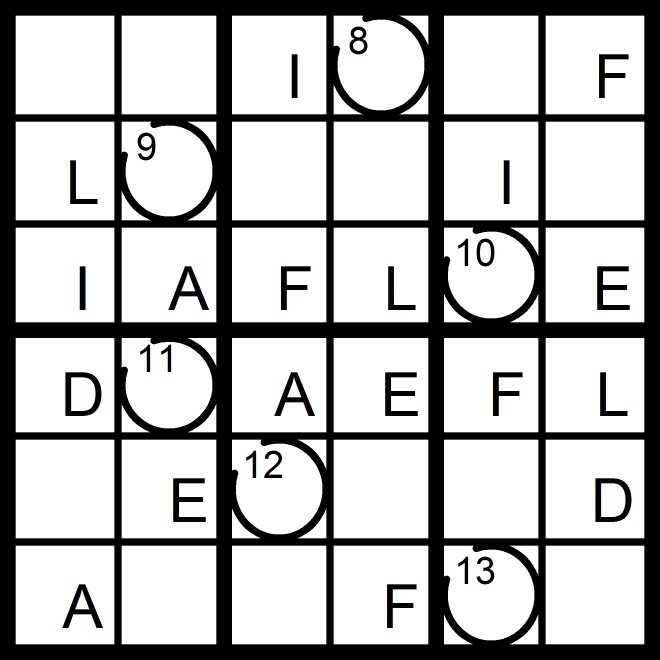 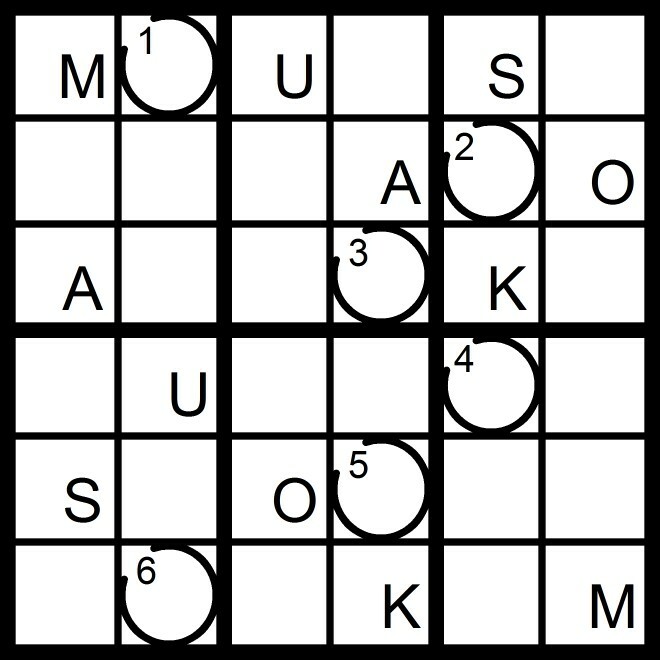 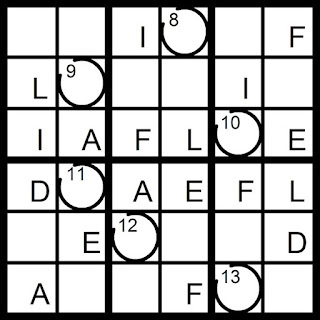 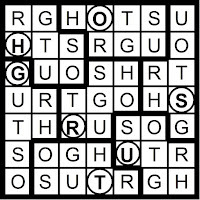 Today's 9x9 AEIOU Hidden Word Sudoku puzzle contains the letters AEIOU + DNSZ. 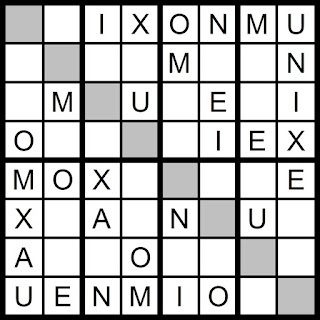 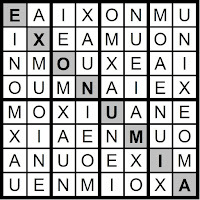 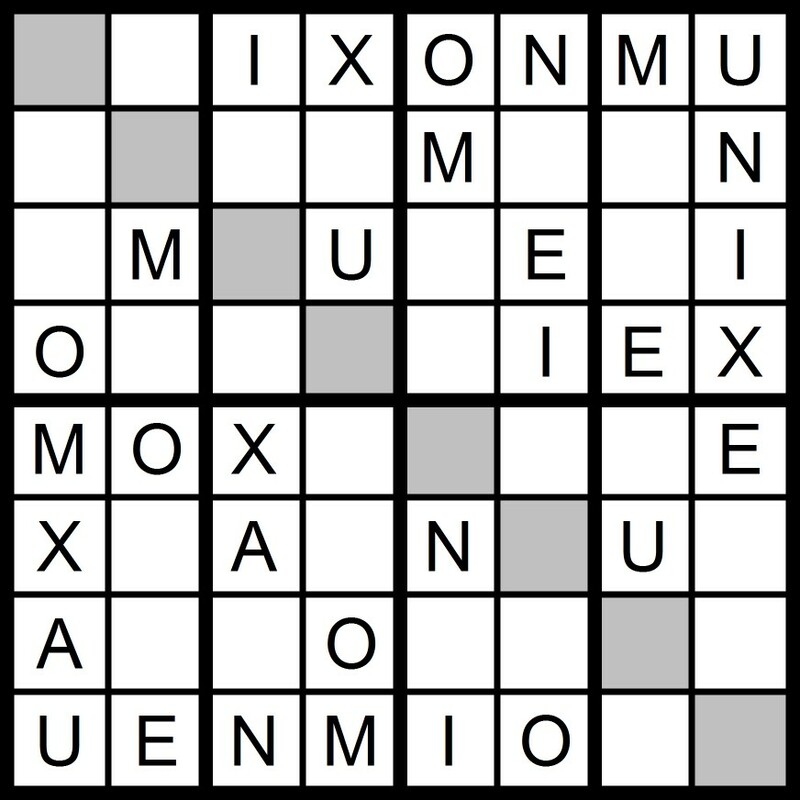 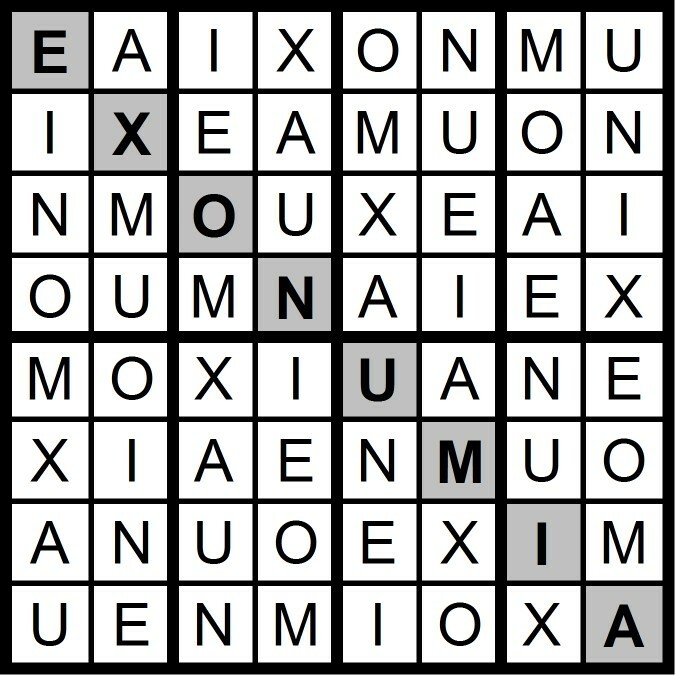 Yesterday's 8x8 AEIOU Word Sudoku puzzles were based on the letters AEIOU + MNX (AUXIMONE; EXONUMIA). 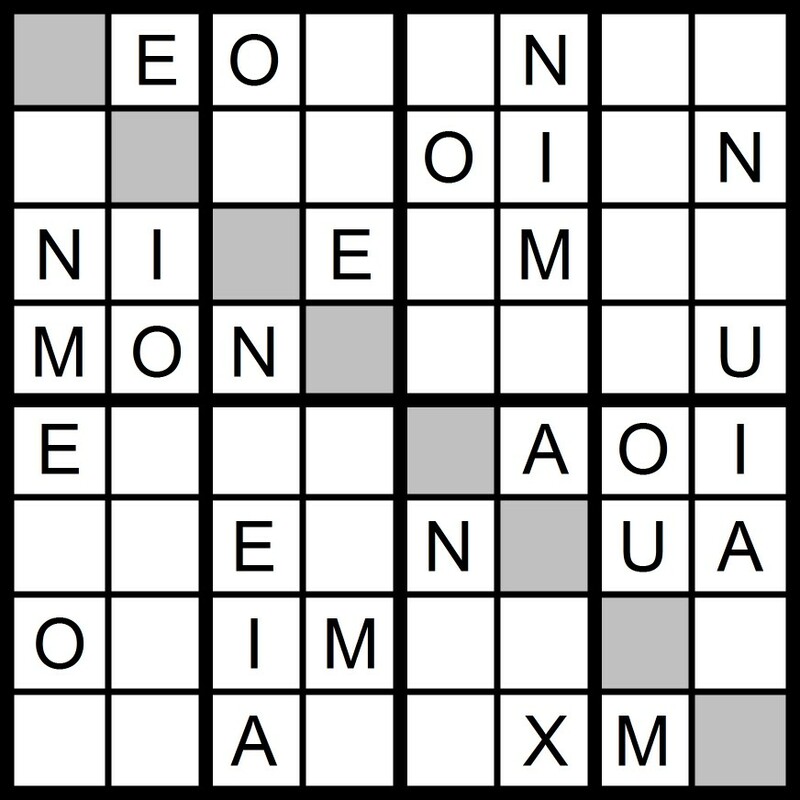 Yesterday's 5x5 Word Sudoku puzzle was based on the word NIOBE. 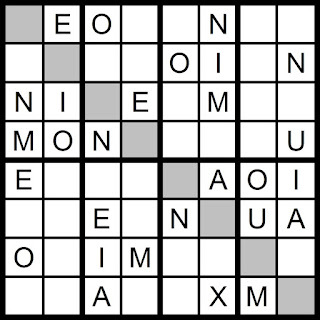 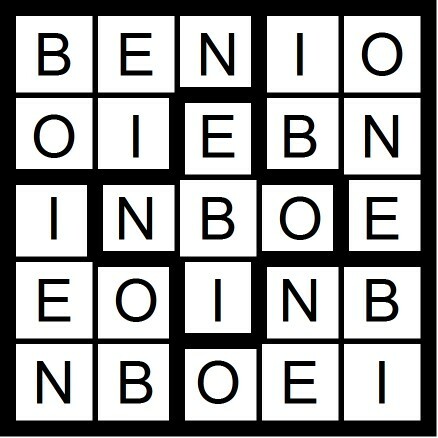 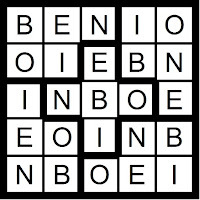 Today's 5x5 Word Sudoku puzzle contains the letters in the word NIOBE. 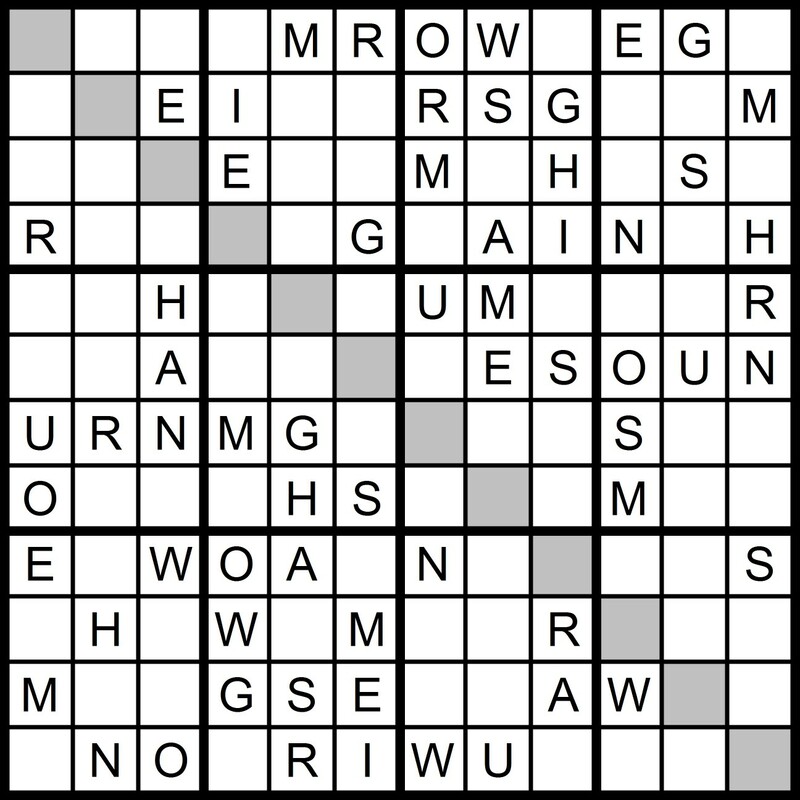 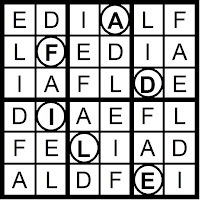 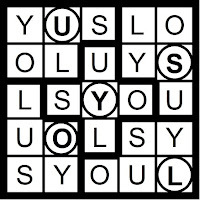 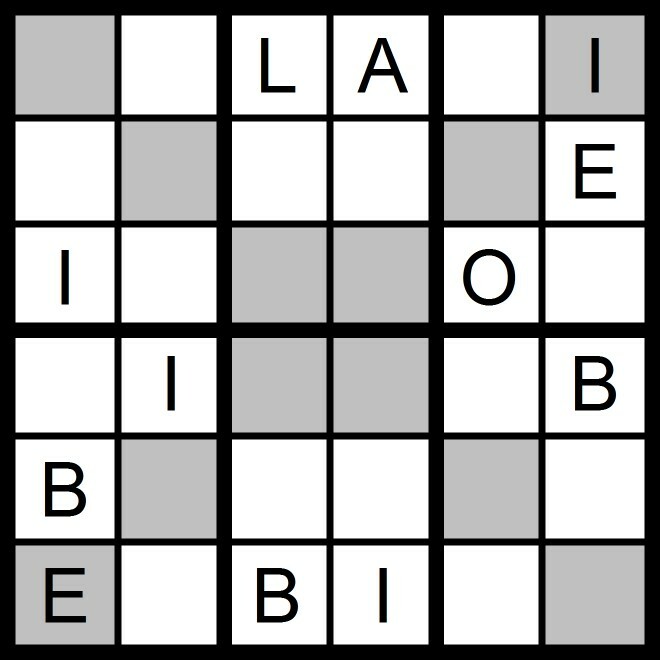 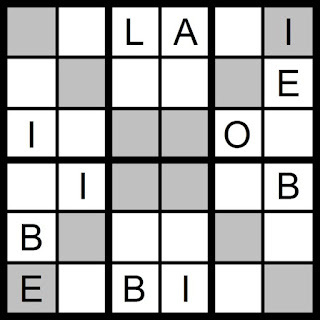 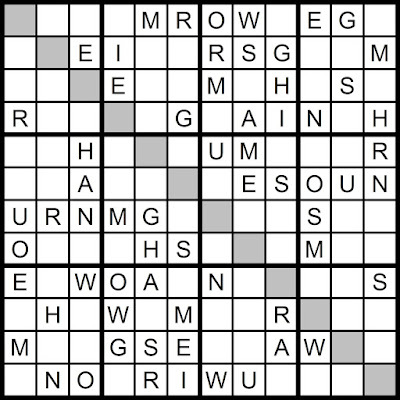 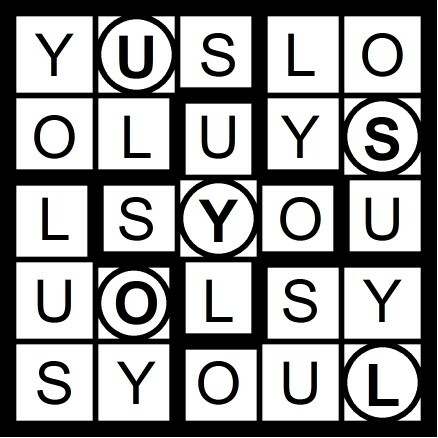 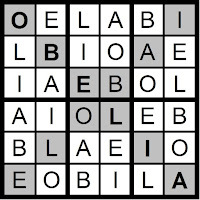 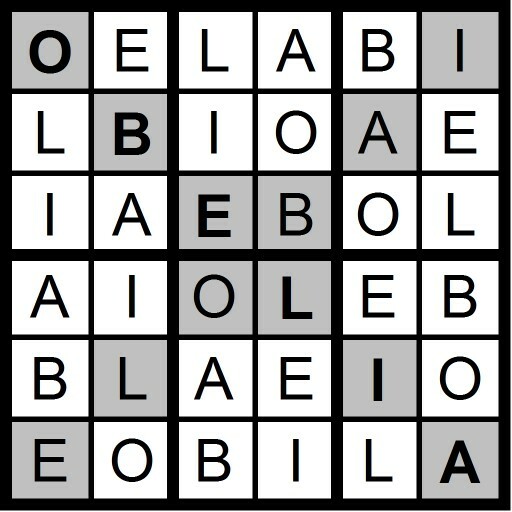 Today's 6x6 Diagonal/Hidden Word Sudoku puzzle is based on the letters AEIOU -U + BL. 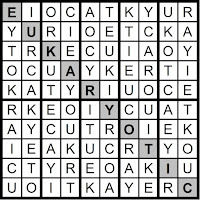 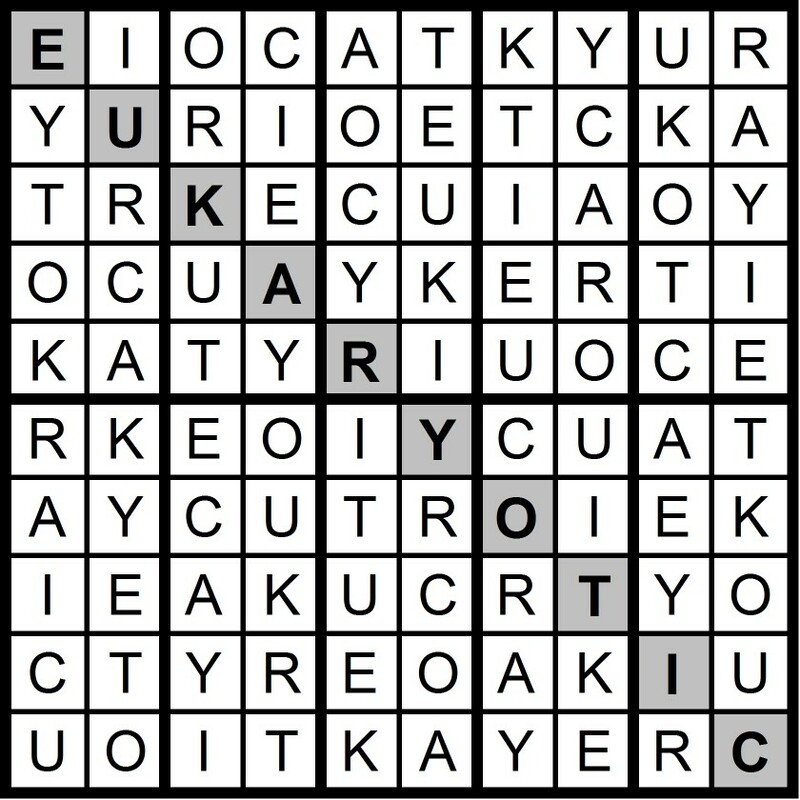 Yesterday's 10x10 AEIOU Hidden Word Sudoku puzzle was based on the letters AEIOU + CKRTY (EUKARYOTIC). 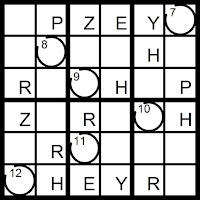 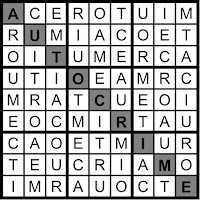 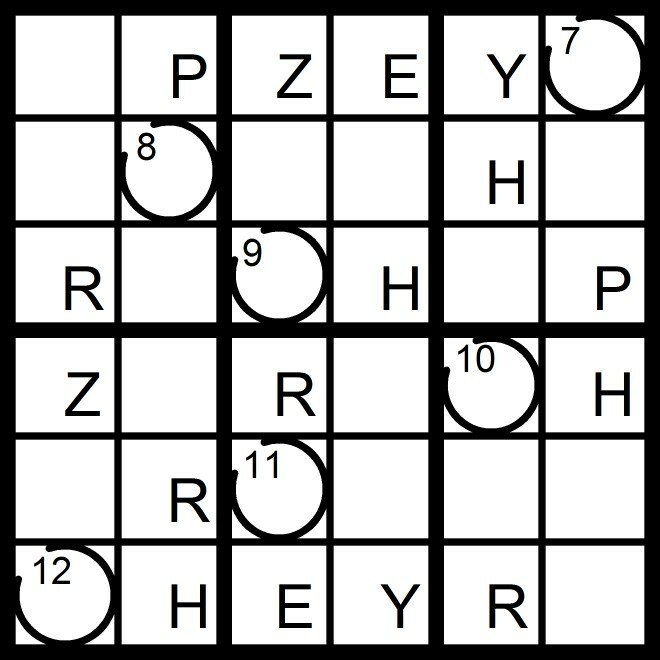 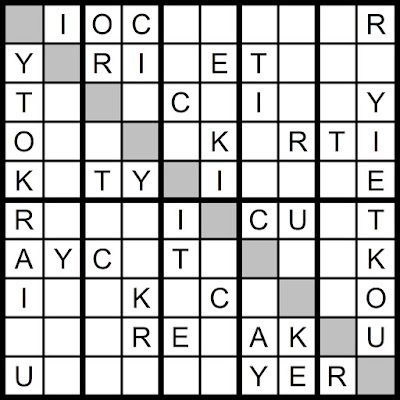 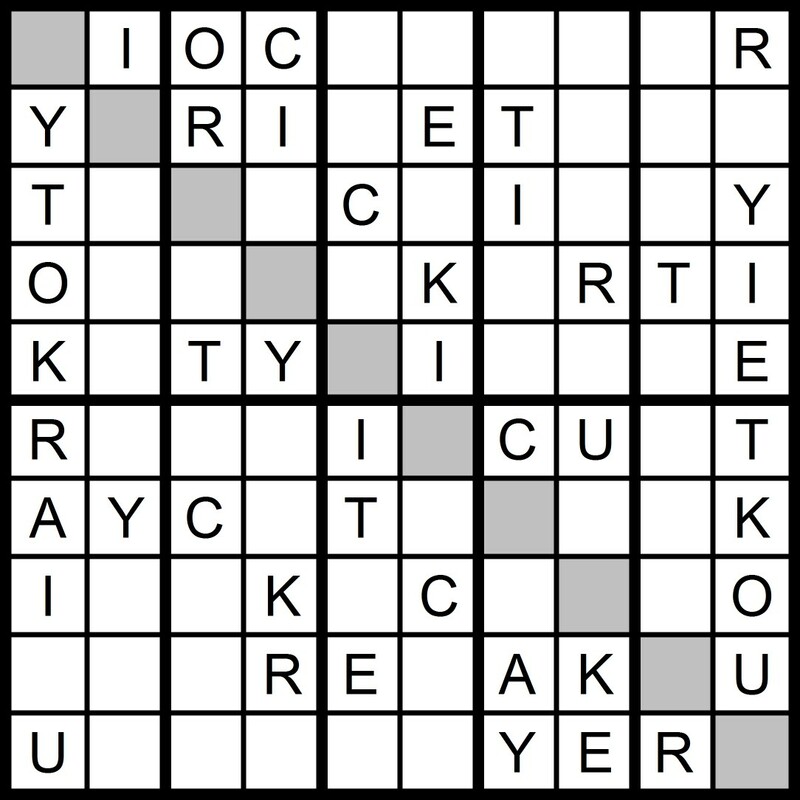 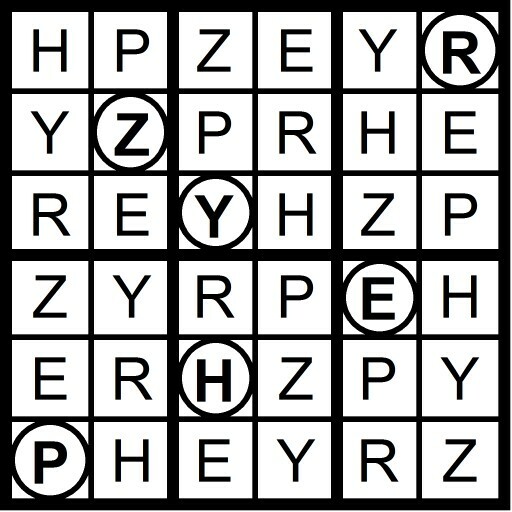 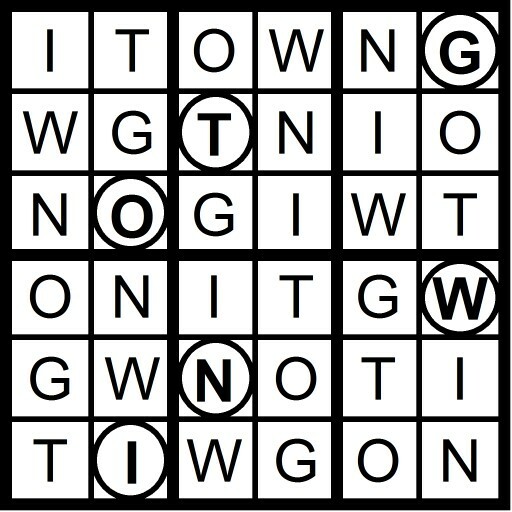 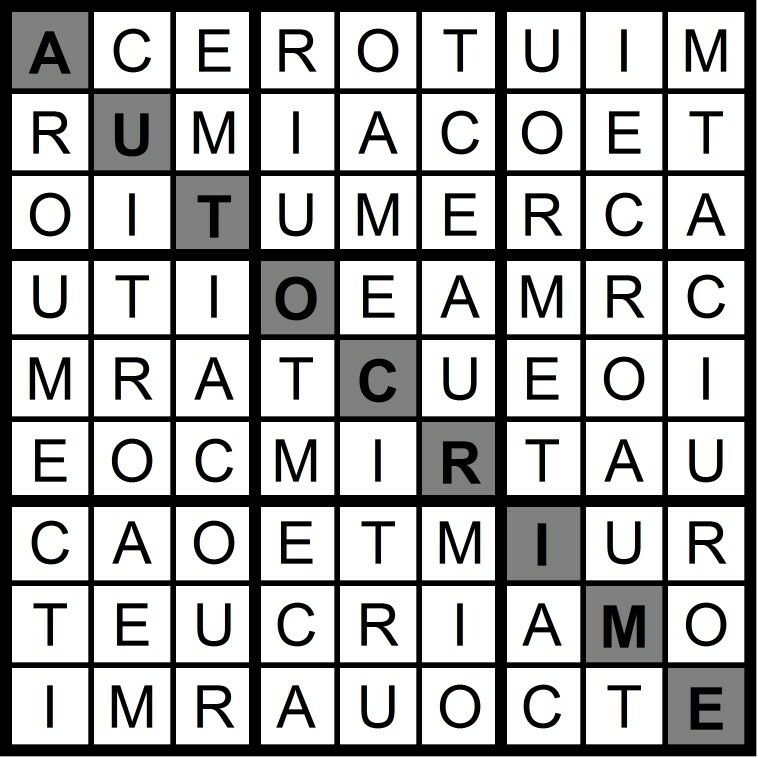 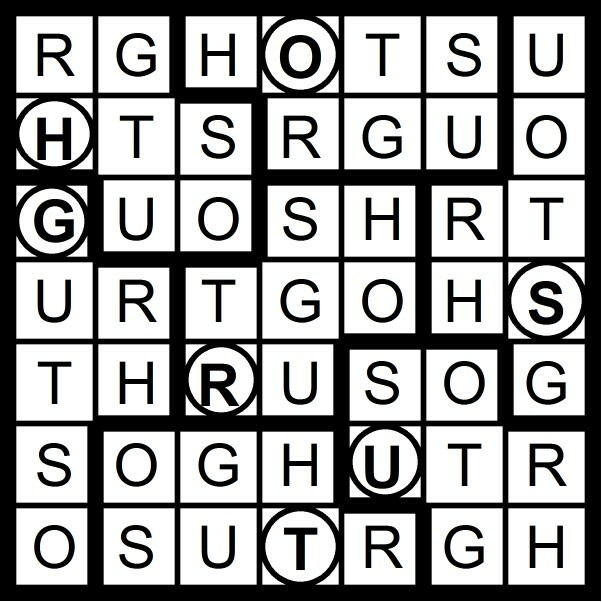 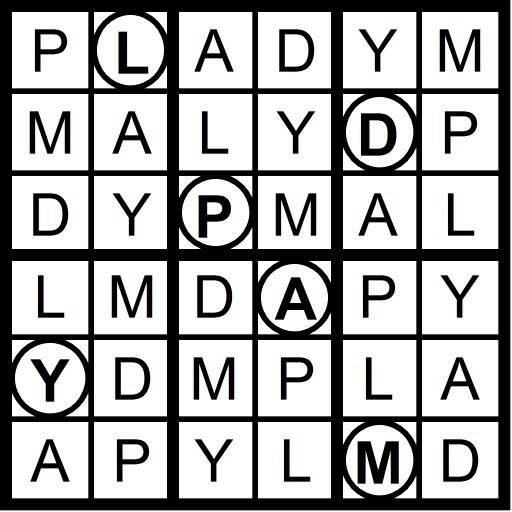 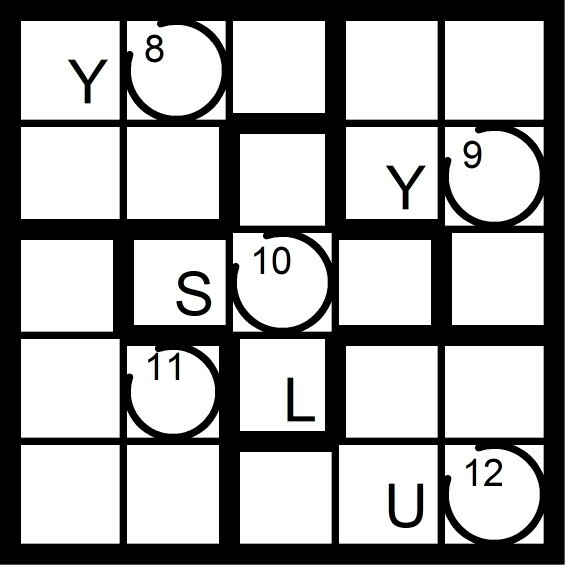 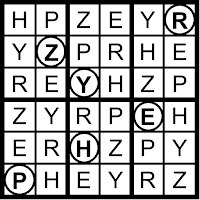 Today's 10x10 AEIOU Hidden Word Sudoku puzzle contains the letters AEIOU + CKRTY. 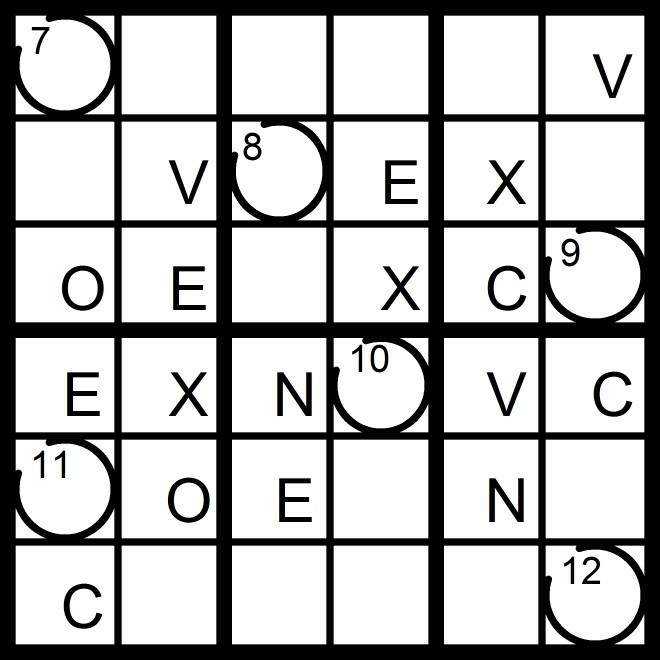 Yesterday's 9x9 AEIOU Hidden Word Sudoku puzzle was based on the letters AEIOU + CMRT (AUTO CRIME). 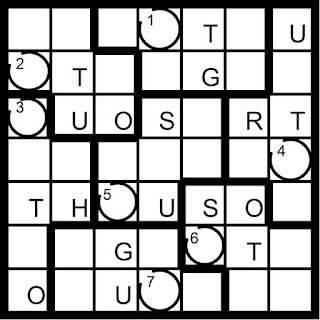 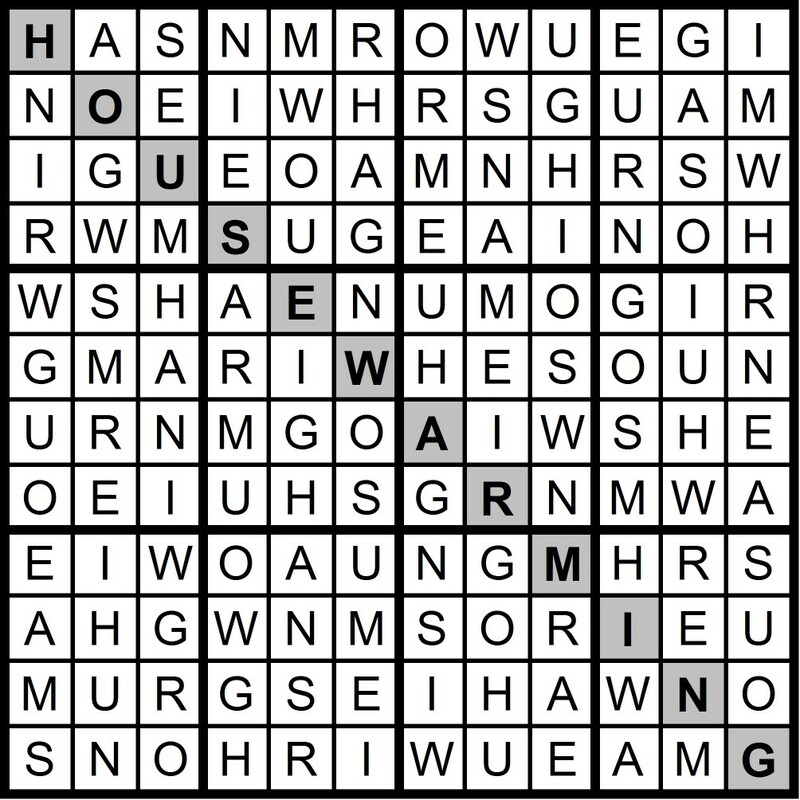 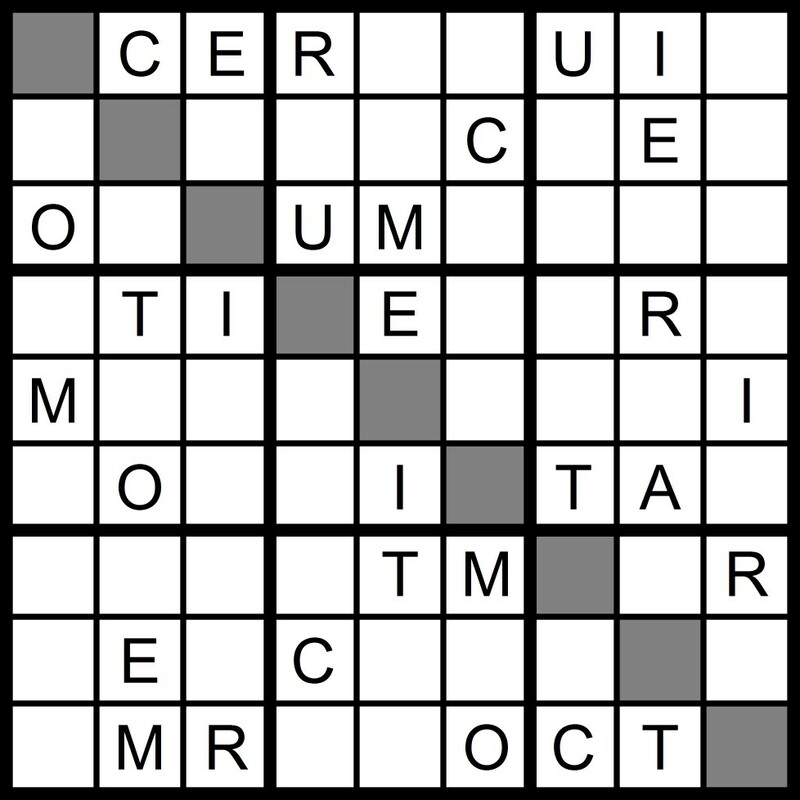 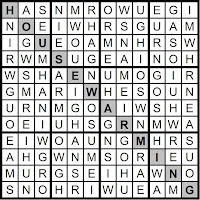 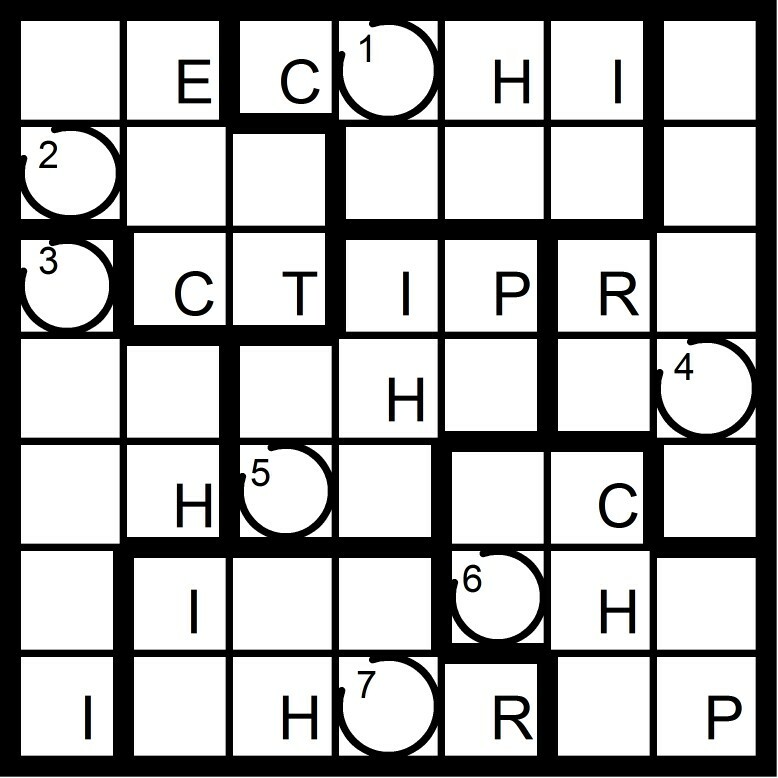 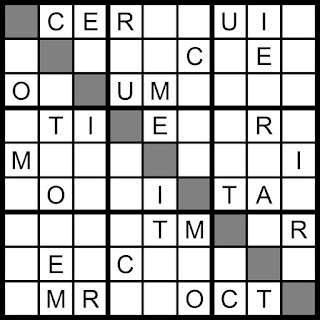 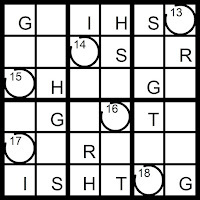 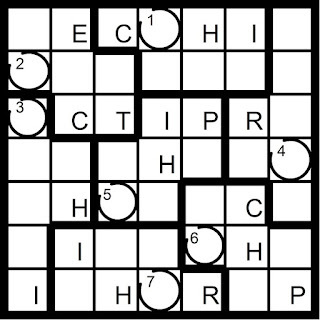 Today's 9x9 AEIOU Hidden Word Sudoku puzzle contains the letters AEIOU + CMRT. 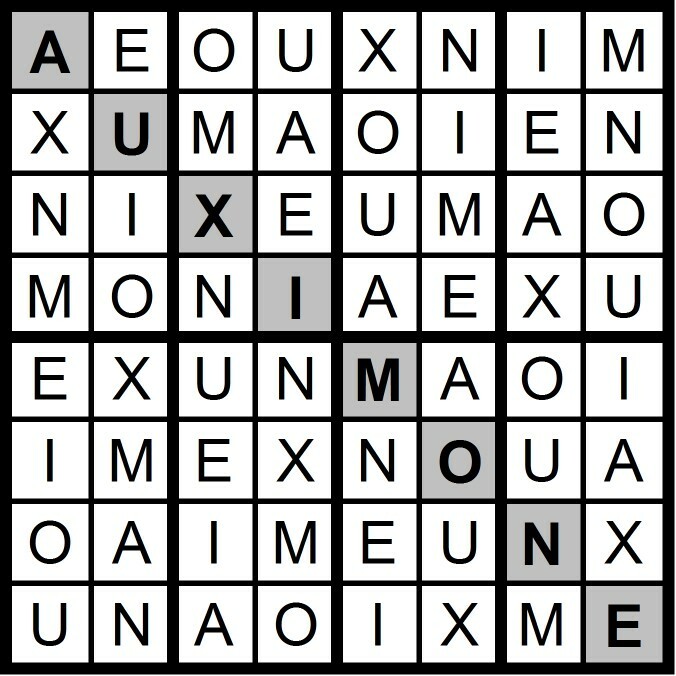 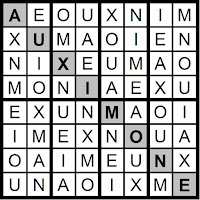 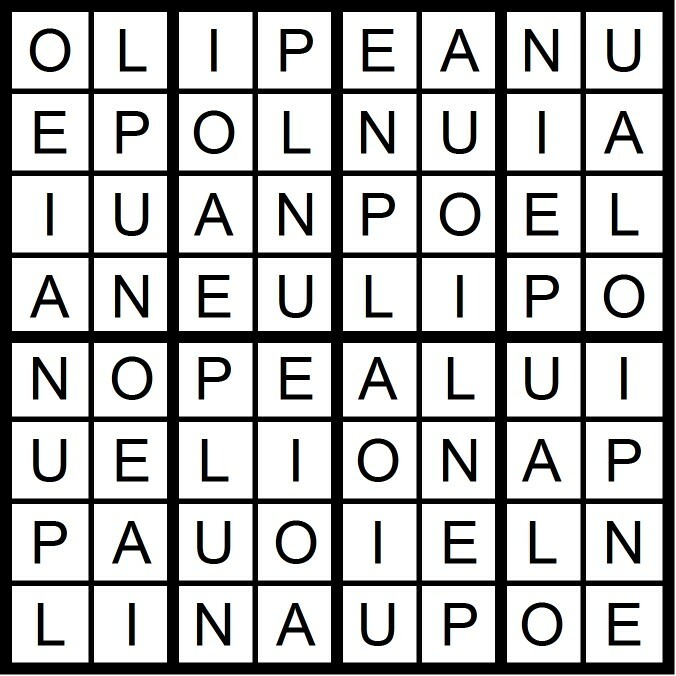 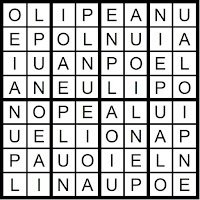 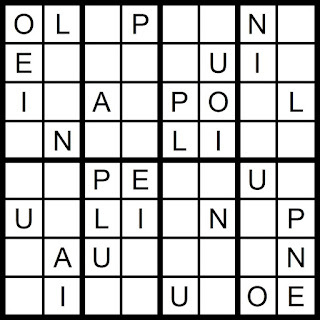 Yesterday's 8x8 AEIOU Word Sudoku puzzle was based on the in the word POULAINE. 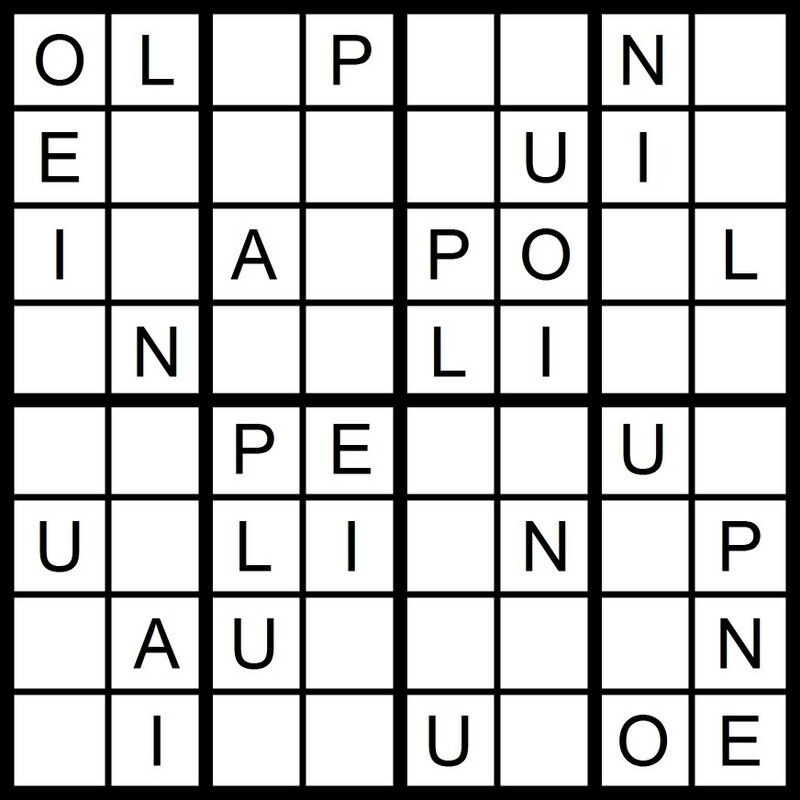 Today's 8x8 AEIOU Word Sudoku puzzle contains the letters in the word POULAINE. 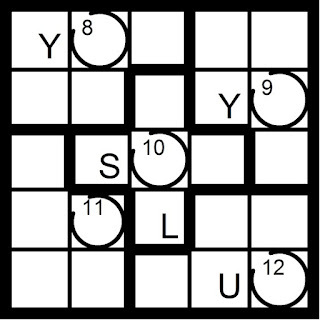 Yesterday's 7x7 Word Sudoku puzzle was based on the word FATIGUE. 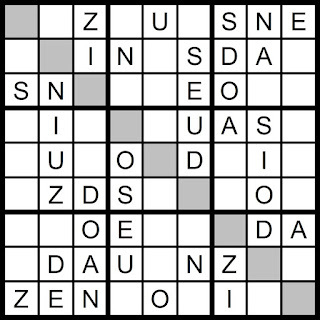 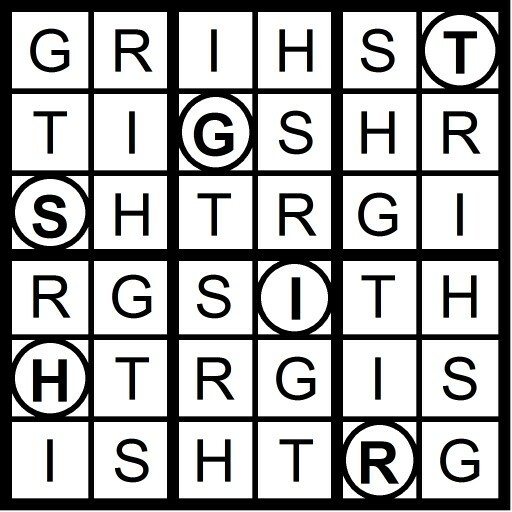 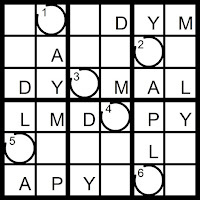 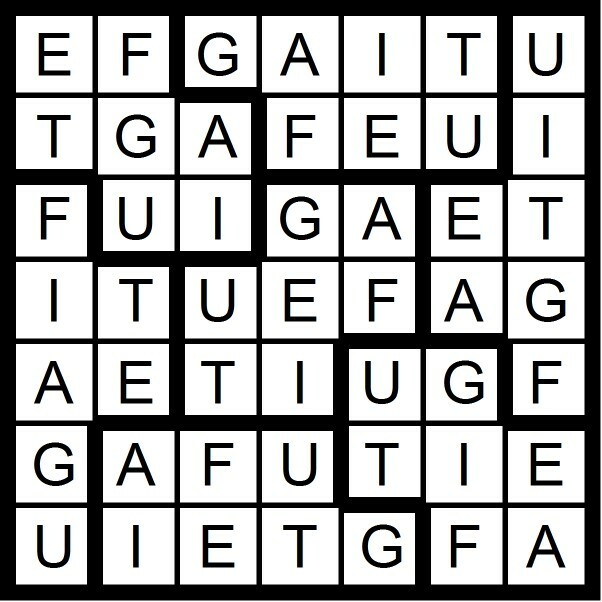 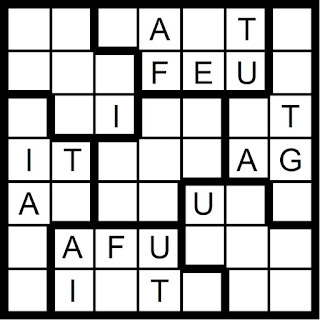 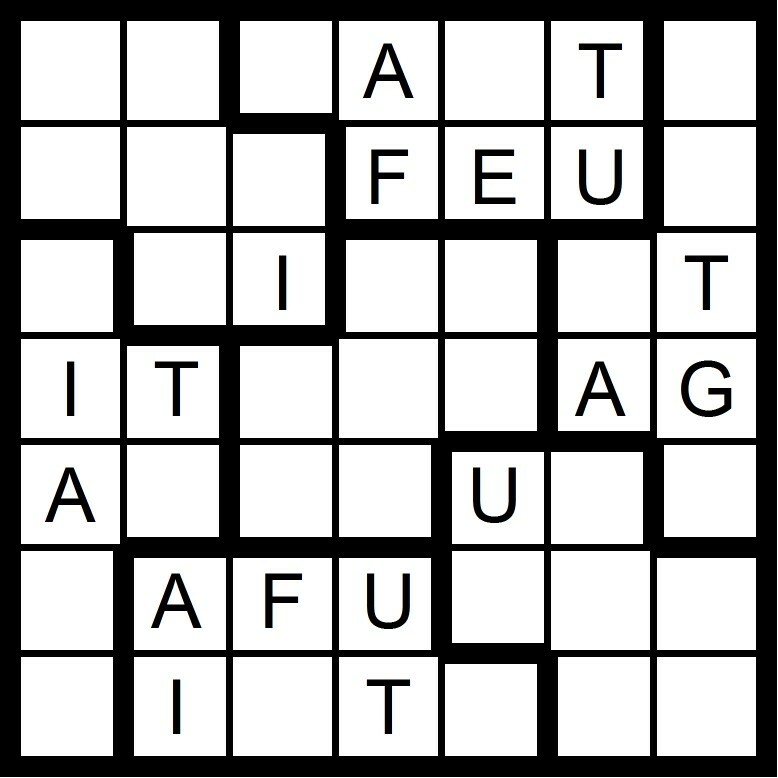 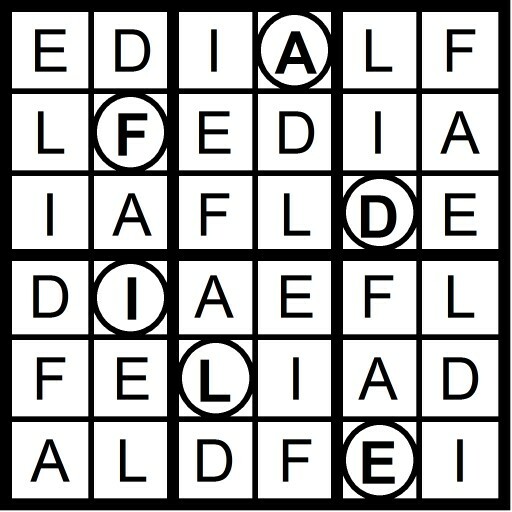 Today's 7x7 Word Sudoku puzzle contains the letters in the word FATIGUE. 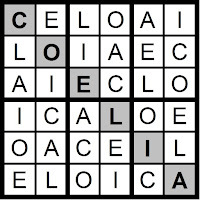 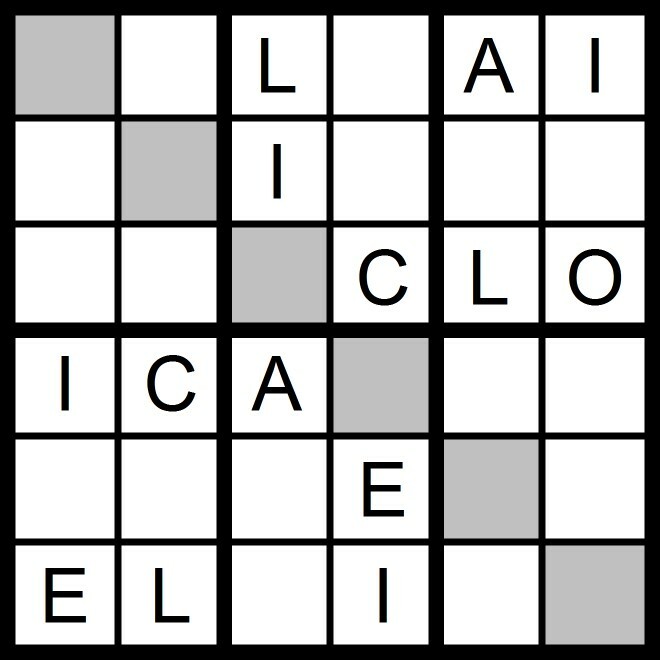 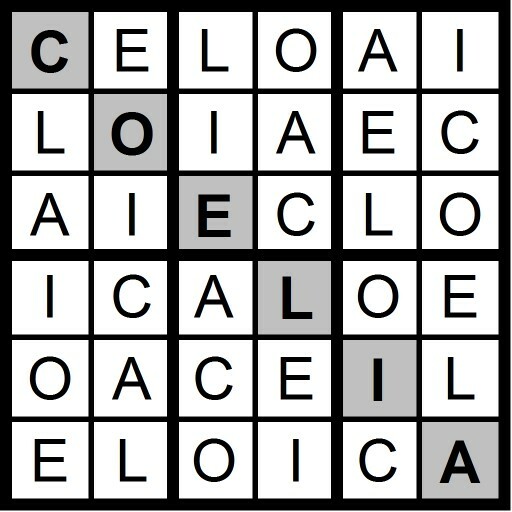 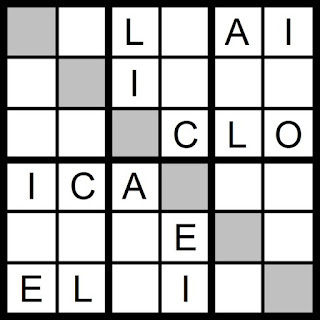 Yesterday's 6x6 Hidden Word Sudoku puzzle was based on the letters AEIOU -U + CL (COELIA). 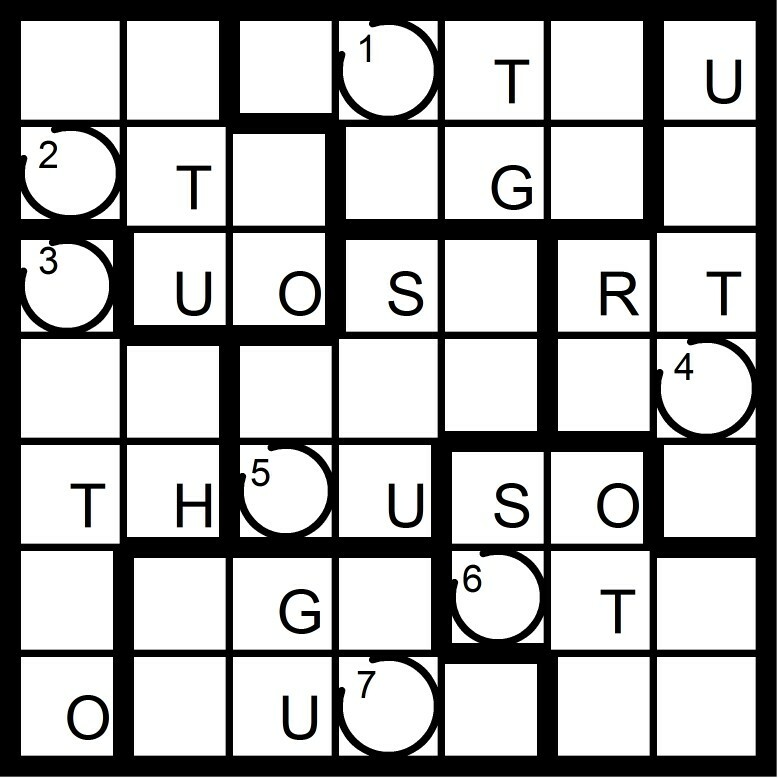 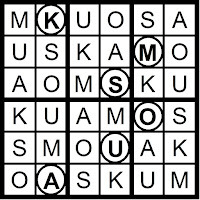 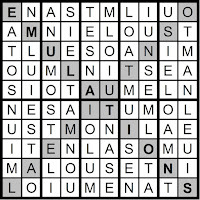 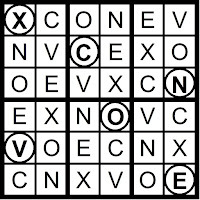 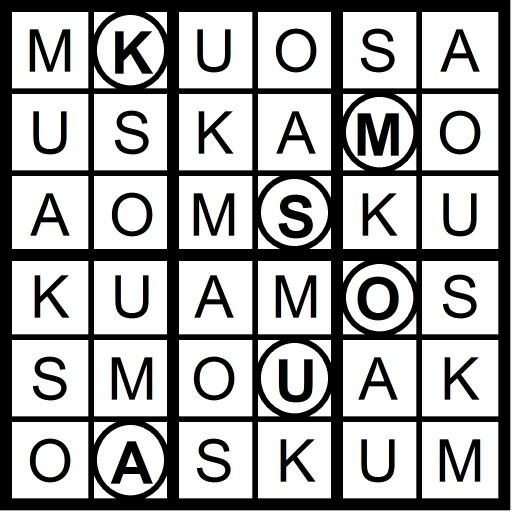 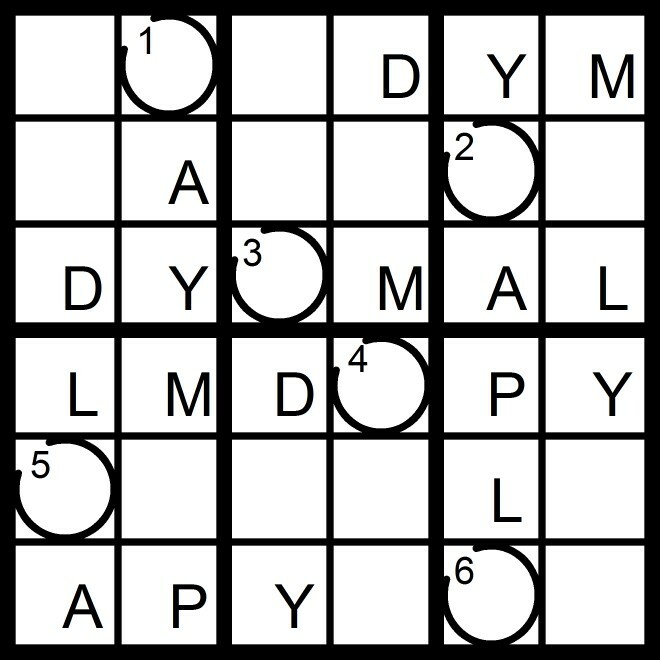 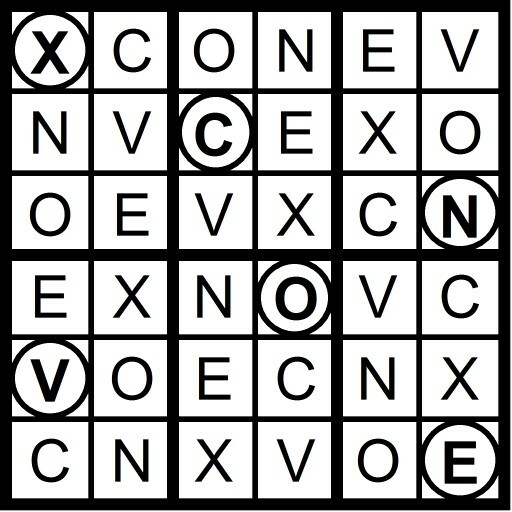 Today's 6x6 Hidden Word Sudoku puzzle is based on the letters AEIOU -U + CL. 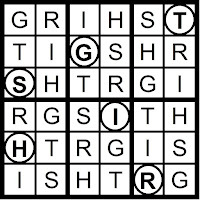 Yesterday’s Sunday Challenge AEIOU 12x12 Hidden Word Sudoku puzzle was based on the letters in the anagram GERANIUM SHOW (HOUSEWARMING). 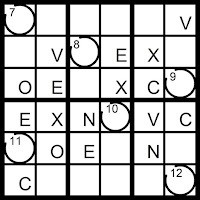 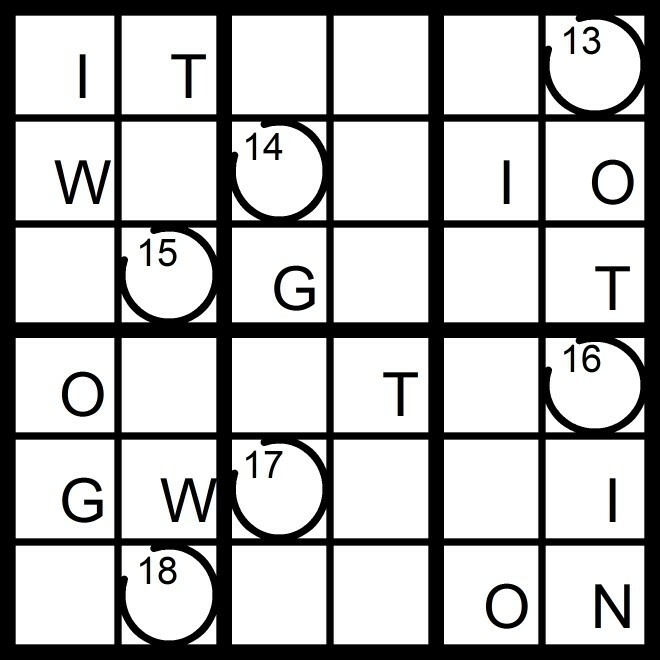 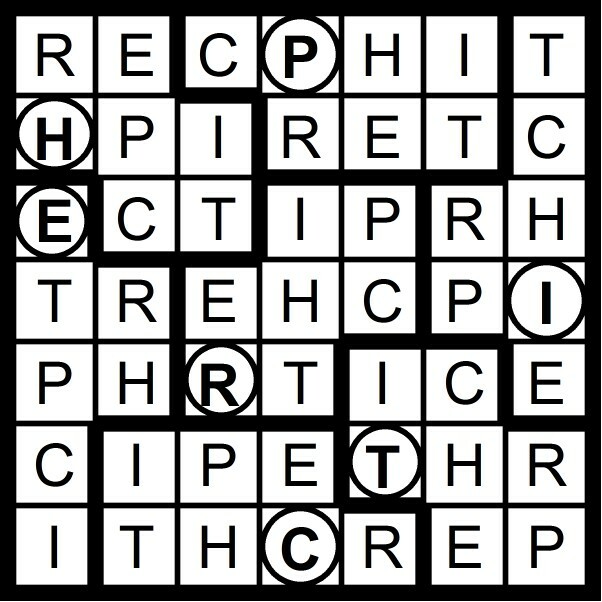 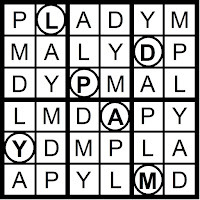 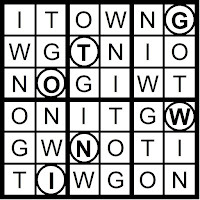 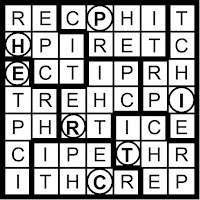 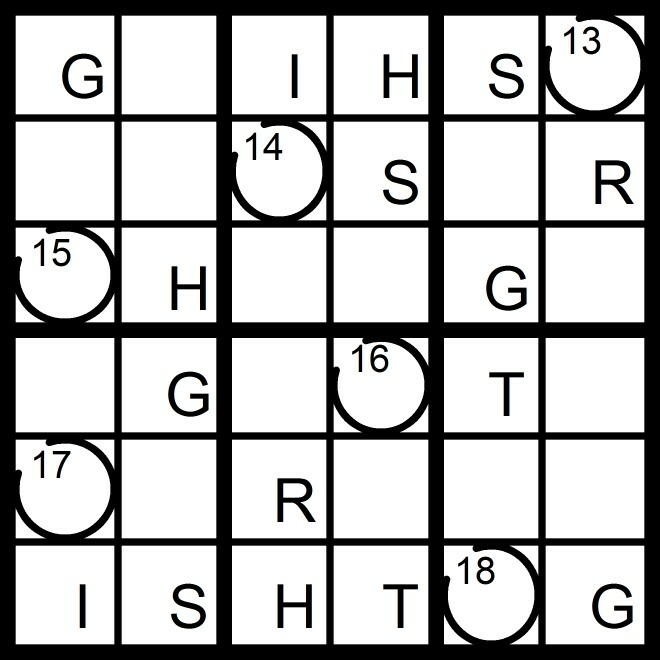 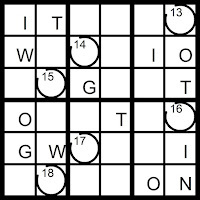 Today’s 12x12 Hidden Word Sudoku puzzle contains the letters in the anagram GERANIUM SHOW.